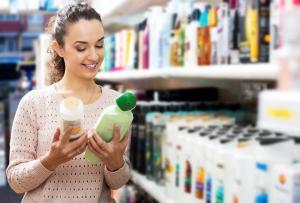 Women spend thousands of dollars on skincare products meant to perfect their skin every year. 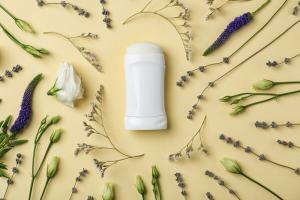 According to the Huffington Post1, an American woman spends an average of $8 per day on skincare products for a total of nearly $2,300 a year – and those fancy products don’t accomplish what they promise. Yet there’s a new way to achieve beautiful skin. Microneedling is rapidly becoming one of the most popular professional skin treatments. Originally introduced for skin rejuvenation, microneedling can be used to treat burns, acne scars, alopecia, stretch marks, hyperhidrosis, and other skin imperfections. And this professional cosmetic procedure can save you hundreds of dollars. Microneedling is a professional cosmetic procedure that uses a tool with spring-loaded very fine needles and a numbing gel to solve skin imperfections. Passing the needle over sections of the skin five or six times leaves tiny holes in the skin, which produces some blood. As the microneedle holes heal, the skin produces collagen and elastin according to the Chicago Tribune². This causes the skin to tighten, which mimics the effects of a facelift. The goal of microneedling is to stimulate the skin’s natural healing process in order to improve its texture and appearance. The entire process is quick too, taking just 15 to 20 minutes. The treatment has been judged safe, effective for all skin types, and minimally invasive based on a research study published in the Indian Dermatology Online Journal³. The biggest benefit of microneedling is its versatility. This cosmetic procedure can be used on any area of the face or body, and you can target small or large areas of the skin. You can minimize a host of skin imperfections, and the treatment works on all skin colors and types. Target Areas of Any Size: The pen-like needle tool used in microneedling can be used to target a small or large area of discoloration, fine wrinkles, or stretch marks with equally good results. Versatile Enough to Treat Multiple Issues: Microneedling is effective for minimizing fine wrinkles, surgical scars, stretch marks, sagging skin, burns, acne scars, and even hair loss. Safe and Effective Treatment for All Skin Types: Regardless of your skin’s color or type, microneedling can be used to treat almost any condition. Instant Results: In many cases, patients see an improvement in the skin’s appearance immediately. If you’re prone to skin rashes and breakouts, you should inform your technician before getting microneedling treatment. Be advised that there is some risk if you have active acne outbreaks that could spread bacteria across the skin. 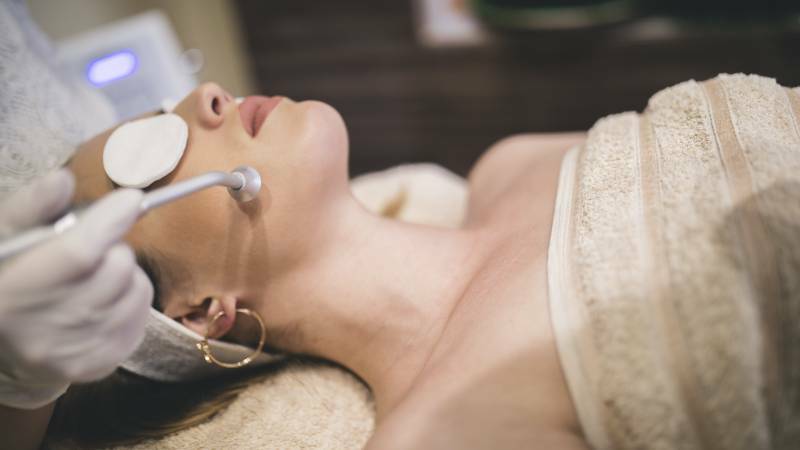 Microneedling treatments can cost from $100 to $700 per session, Healthline⁴ reports, but most reputable medical clinics charge about $200 per session. The best results come from a series of three to six treatments. The exact cost of microneedling depends on many factors including your geographic location, your provider, how many follow-up treatments are needed and how big an area you need to treat. Some patients receive combination treatments where microneedling is combined with laser treatment, PRP injections, radiofrequency treatments, or other cosmetic procedure procedures. Additional treatments can improve your results, so it might be worth pursuing a combination treatment. Microneedling can rejuvenate the skin, minimize blemishes, and treat a variety of skin conditions anywhere on your body regardless of your skin type or color. The minimally invasive procedure generates few risks and side effects but often produces instant results. You should schedule a consultation with a professional aesthetician or dermatologist today to see if you are a good candidate for microneedling. Most people are, and the low cost of treatment makes it an affordable cosmetic treatment for many people who can’t afford more expensive procedures like facelifts. A free consultation could be the first step towards perfecting your skin like you’ve always wanted. If you’re interested in microneedling, start a search today. 1 Huffington Post, How Much is Your Face Worth? American Women Average at $8 Per Day 2 Chicago Tribune, What is Microneedling and Why Is It Gaining Popularity? 3 Indian Dermatology Online Journal, Microneedling: Advances and Widening Horizons 4 Healthline, How Much Does Microneedling Cost, and What Factors Into It?